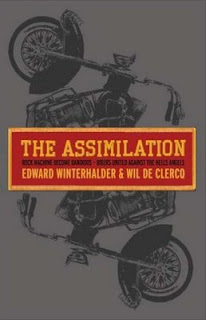 The Assimilation by Edward Winterhalder and Wil De Clercq is not really a book about motorcycles. It's a memoir based on the life and times of Winterhalder, a high-ranking member of the Bandido's. Just don't call it a motorcycle gang - it's a motorcycle club according to Winterhalder. Winterhalder left the Bandido's in 2003, not entirely of his own accord. Declared "out in bad standings" by the American National chapter when he left, he's now considered one of the world's leading authorities on motorcycle clubs. When I say motorcycle club - I don't mean the typical; we meet on Tuesday nights at the coffee store on the corner to talk shop and share motorcycle story's club. This is something altogether different. To be a member of a "1%er" motorcycle club you need to dedicate yourself entirely to the club. The club comes before your family and job and has complex rules and culture that you're trained in before you're permitted to join the club. 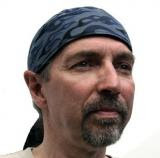 Winterhalder, or "Connecticut Ed" as he was known in the Bandidos, was one of the key players in creating the Quebec Bandidos in 2001. In The Assimilation, the reader is given an inside look at what are commonly referred to by the public, as outlaw motorcycle clubs, or "gangs." The magnifying glass through which we're examining the inner workings of Bandido's seems to be just a little out of focus to me. We're told throughout the book how great being a biker is, the camaraderie, and how men in the club are brothers who protect one another; they share a common bond of a love of motorcycles. We're also told that the Bandidos aren't involved in illegal activities - at least they're not encouraged. Yet it's still said that police are one of the number one enemies of the club. Maybe it's just me but most people who aren't involved in criminal activities aren't typically prone to calling police the enemy. They also don't typically get arrested, go to trial, be found guilty of crimes, and be sent to prison if they're not guilty of something. Sure there may be a few but I don't think lawyers for the wrongfully accused will be rushing to help out many of the folks put in prison who were members of the Bandidos. Winterhalder mentions that like any group of people you're bound to have a few who are into things that will land them on the wrong side of the law. Based on the numbers of arrests of Bandidos thoroughly documented in the pages of The Assimilation it would seem that a larger percentage of these people are involved in criminal activities than the author would like you to believe. Having been involved in motorcycle clubs for 30 years and having risen to the upper echelons of the Bandidos, Winterhalder certainly has the resume to be called an expert on motorcycle clubs. He indicates that he brought structure, accountability, corporate goals and objectives into a subculture that resisted the control of all authority. I can't deny the subject holds some interest; the Bandidio's was the fastest-growing motorcycle organization in the world, with branches in Europe, Australia, the United States and Southeast Asia, as well Canada. What makes people want to join an organization like this? Why do they do it? These are the questions I asked myself and wanted answers to as I read but I got the feeling that I wasn't getting the full story, the full truth. I felt a little like a fly on the wall and privy to a conversation about the inner workings of something I didn't quite understand the mentality of. The people having the conversation knew I was listening though and they were being a little vague, so as not to give away the really juicy bits that might get them in real trouble. In the latter part of the book there's a glossary that helps you understand some of the structure of outlaw motorcycle clubs. It also gives some insight into the inner psyche of its members. For example; Property patch is defined as "a patch worn by a female associated with a motorcycle club that denotes which member that female belongs to." They've also got a complex hierarchy of rules like club prospects should always carry a pen and pager, a watch, and a calendar. I did come away with a better understanding of the world of 1%er motorcycle clubs - a term I didn't even know about before reading this book. It's a term that stems from the AMA's response to an over-the-top article that exaggerated article and staged Life magazine photo that featured a drunk (not bike club member) on a motorcycle. The AMA held a press conference saying that the trouble was caused by the "one percent deviant that tarnishes the public image of both motorcycles and motorcyclists." The outlaw clubs latched on to this and started calling themselves 1%er clubs to distinguish themselves from other motorcycle groups and the general public. This book will appeal to people interested in knowing more about the 1%er motorcycle club mentality. If you want to know what it takes to become a member of such a club, pick up a copy of The Assimilation for the inside track. From a strictly aesthetics perspective I give the creative folks at ECW Press kudos on the design work on the book. The colors, and design of the book look great but they’ve got a deeper meaning that only becomes apparent as you read more about the Bandidos. I’m regularly impressed with their designs and the thought that’s clearly put into it. You’ll get no ugly looking books from ECW Press! You can purchase "The Assimilation * Rock Machine Become Bandidos - Bikers United Against the Hells Angels" at ECW Press or via our bookstore page here (on page 29 as of this writing).